Several years ago I wrote about the West Australian Government, in collusion with the mining industry and the Federal Government, slating between 30 to 40 uranium mines for Western Australia over the next couple of decades. Stalwart activists who have been honourably fighting the struggle to prevent the prospect of radiation sickness did not want to believe that this was a prospect. But sadly it is. Yesterday, the Federal Government ‘green light’ welcomed in a uranium mine in the Pilbara. There are now four uranium projects in advanced development stages. The Government will sell the underwriting of revenue and jobs but it is their mining chums who will get rich not the Australian nation – but the burden of any radiation leaks will be borne by the Australian people. Mining companies are investing huge fortunes in research, exploration and development projects for the mining of uranium. Nuclear energy is not just touted but will be the energy fuel of the future. Previous and incumbent Australian Governments have signed off uranium export deals and not just with India. Western Australia has four uranium mining projects in the advanced stages leading to their establishment – Kintyre, Mulga Rock, Wiluna and Yeelirrie. For now, they are mostly by the communities – Homelands – of First Peoples. The communities are being told that jobs will be waiting for them at the uranium sites. The uranium sites are being sold as world’s best practice – you know, former nuclear disarmament and anti-uranium campaigner, Peter Garrett as a politician did an about face and sold Australian uranium mines as “world’s best practice” with “in-situ filtration”. However, despite Mr Garrett’s missed opportunity as a politician to make a difference, mining uranium is scary for many Australians, especially since the Fukishima catastrophe, despite the mainstream media skilfully reducing news coverage since the disaster. Australians do not want to hear people are living by uranium mines. This is part of why the Western Australian Government wants to close down Homelands and evict people off their Country. If they can get rid of the Martu from nearby Kintyre then there will be less controversy. 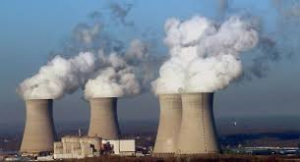 There are 500 nuclear reactors operating worldwide, with more than 70 being built and 200 in the planning stages. There will be thousands of nuclear reactors by the end of the century. Western Australia is infrastructure wealthy, and has 40 per cent of the world’s easily accessible high grade uranium. The Northern Territory has huge deposits of uranium. Australia will become the world’s greatest exporter of uranium but also its people the most at-risk to radiation sickness. India will be a benefactor – and thanks to Australian uranium will increase its nuclear power generation from 3 per cent to 25 per cent. India will need one twelfth of the world’s uranium export. Yesterday, Western Mines and Petroleum Minister, Bill Marmion has buoyed by the never in doubt decision by Federal Minister Greg Hunt in his granting of environmental approval for the Kintyre mine. The uranium mines must be in operation within five years. However they reckon they will be operational within less than two years. The uranium lobby is one of the nation’s most powerful. The State Labor Opposition carries on that it supports a uranium ban however this is hogwash. It was former Prime Minister Julia Gillard’s Government, helped along by Gary Gray and Martin Ferguson, who talked up uranium mining no less than Bob Hawke did, and who negotiated with India. State Labor despite its promises at its annual conferences will never reinstate the ban on uranium. The Russian Government’s official death toll for Chernobyl is 46 but according to anti-nuclear campaigner, Dr Helen Caldicott it could be as high as 985,000. What is on the record is that there has been a significant rise in cancer rates in the affected region. The long latency periods, as with asbestos related mesotheliomas, have skewed the data on the incidence of radiation related disease. In 2006, the Biological Effects of Ionising Radiation (BEIR) Committee of the US National Academy of Sciences reviewed the available data. The International Commission on Radiological Protection (ICRP) estimated 30,000 fatal cancers from Chernobyl. In 2006, twenty years after the Chernobyl disaster the World Health Organisation estimated up to 4,000 deaths among the Chernobyl population and more than 5,000 deaths among Ukrainian and Belarus populations from the exposure to lower dose radiation. A 2006 Greenpeace commissioned report – 52 scientists – estimated 93,000 deaths. Dr Caldicott investigated a Russian report, “Chernobyl: Consequences of the Catastrophe for People and the Environment.” Alongside this report she argued 985,000 eventual deaths. If Western Australia goes heavy duty on uranium mining with say 40 uranium mines even as far away as the end of the century if not by 2030 or 2050, uranium mining will touch even more lives than the ‘mining boom’ does at this time. At last – somebody points out clearly the nuclear motivation for getting people off their “remote” homelands. It’s not “remote” to them – it’s their home. Breathtaking hypocrisy of Australian State and Federal governments to go on about Aboriginal disadvantage and words in the Constitution – while steadily destroying connection with country. The only complaint that I have about this article is in its pessimism. Despite the hype – the nuclear industry is not going well – and it’s not just because of worldwide public opposition to it. It’s because their major objective – the mighty dollar – is not being realised. COST will kill the nuclear industry. And – that industry lives in well-grounded fear, about just when and where will the next nuclear catastrophe happen. Statistically that catastrophe is certain to happen – whether it be tomorrow, or in 50 years’ time – but some time within the next 50 years. That will kill that toxic industry more quickly – and they know it!